On a sunny but cold October day dr. Watson invited us to Baker Street. It was a great honour that he was the interviewer. The reason of the meeting was that Sherlockian-Sherlock.com website was created nearly six months ago (29 May 2013). Unfortunately our colleague, Edina (Radix) could not be here because of her busy work schedule. We settled down around the fireplace in cozy armchairs and were lucky enough to taste Mrs. Hudson’s heavenly tea and cookies. Dr. Watson: I am glad to welcome the creators of Sherlockian-Sherlock.com. Editors: Thank you very much for the invitation. Dr. Watson: The pleasure is mine. First of all I must apologize for Sherlock’s missing, but he is investigating….The case is very important. Editors: It’s elementary, dear Watson. Dr. Watson: (laughing): I really like this sentence. Though according to Conan Doyle my friend never said that – it is a common misbelief, but it is close to my heart. SherlockExtra: My opinion is that this line is one of the nicest signs of friendship and love. Sherlock Holmes is a genius, many people adore his abilities, but everyone longs for such an honest and faithful friend like John Watson. Dr. Watson: Thank you very much. I try to be a good friend… Are you friends? SherlockExtra: Yes, but honestly I do not have friends. I am very lucky. My kind colleagues brought so many fantastic things in my life that I prefer to think about them as my sisters. Our website is the gift of our perfect cooperation. Sherlock Holmes is a common favourite. In addition, we see many things similarly in life, and we all are persistent and optimistic. Both girls have awesome sense of humour – and cheerfulness makes almost everything easier. Revati: As Francis Bacon said: „The worst solitude is to be destitute of true friendship.” I do not have many close friends except my fellow editors. I am fortunate to work with them, and it is fantastic that we can cooperate despite the fact that we live far from each other. Dr. Watson: I enjoy your site Sherlockian-Sherlock very much. It was surprising and interesting that even Hungary is concerned with Sherlock Holmes….. Hungary? 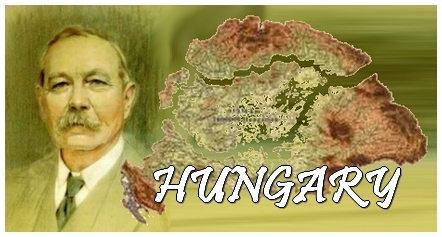 SherlockExtra: Hungary is a beautiful country, we are extremely proud of it. Though in connection with the topic of Holmes location is sometimes a handicap. I mean it takes a little more time to the different movie or film adaptations to reach us, and the same is true for the information as well. What is more, we three live far from each other and my colleagues have their own job. Money is another confining factor. I should go on listing difficulties, but the point is that we have to harmonize lots of things. But we are not afraid of adversities. We know that with assiduous work and creativity we can overcome hardships. We try to offer unique, special and creative articles, we have our own club ( Intellectual Parasites Of Diogenes - IPOD Club ) and free downloads. It is advantageous for several reasons. Our hope is to please many readers. Posting celebrity news and gossip is not our goal. So we have to think a lot on new themes. The character of Sherlock Holmes globally embraces culture, so Sherlockian-Sherlock.com would like to deal with history and art as well. Our aim is to become a sort of enjoyable relaxing point in the World Wide Web. Dr. Watson: I am aware of the fact that the Sherlockian world began to recognize you. That is why I asked you to come and talk about yourselves – this way people get to know you and the site better. SherlockExtra: You are very kind. I was editing a Hungarian Sherlock Holmes site since 2010. Later I got acquainted with Radix and Revati, and they helped in maintaining the site. It was clear for me that it is a question of time to be recognized by the Sherlockian world, but in Hungarian it would have taken much more time and because of the rare language much less people would understood us. I thought it will take 20 years for the Hungarian site to get recognized. But our persistence had its reward. Mr. Aleš Kolodrubec, the President of the Czech Sherlock Holmes Society contacted us in February. He gave us much love, trusted in us and we learned a lot from him. We are very grateful to him, because he saw something valuable in our site. He encouraged us that it is worth switching to English. 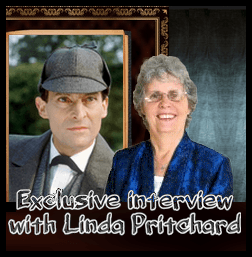 I thought even with an English website it will take some years to establish connections with other sites, but fortunately the Sherlockian world welcomed us warmly. This time we would to like thank all our supporters their generous help. Special thanks to Mr. Thomas Bruce Wheeler, the fantastic author for his graciousness. To the wonderful Nashville Scholars of the Three Pipe Problem for the cooperation. To Professor Jeremy Black for his excellent lecture, to Professor Joseph B. Kadane for his interesting article …. Our acknowledgements to the brilliant artists whose works we can show. We are beholden to Sherlockian.net, I Hear of Sherlock and Always1895.net for referring to us with links. And we are extremely proud of the fact that the Sherlock Holmes Society of London mentions us in its newsletter. I am well aware of the fact that we deal with the topic of Holmes on a serious, cultural level, so we can be unique in a way that at the same time we are not rivals for the existing Sherlock sites. Rather we are able to supplement each other. At the same time we can be proud of the website we created and are continuously shaping. The team consists of the three of us yet, but we gladly publish the artworks of others – so hopefully later many Sherlockians will join us. Revati: We do hope that our visitors can feel in the articles the huge amount of love what we have for the topic. It is a fantastic thing that the site can work as a link between people who love the Holmes stories. Our aim is to focus on those classic human virtues that Doyle endowed his hero: respect for one’s profession, persistence, hope, love of arts, concern… The writer’s intention was to make people think and feel, and to show them that thinking and feeling are useful things. SherlockExtra: Everybody makes mistakes, it is a natural thing. Even Sherlock Holmes is not infallible. We dare to think that we will recognize our mistakes. Revati: And of course visitors can bring it to our attention when they find something incorrect. We hope they will be kind enough to do so. We make the webpage wholeheartedly. And as the fantastic Basil Rathbone said: "Never regret anything you have done with a sincere affection; nothing is lost that is born of the heart."